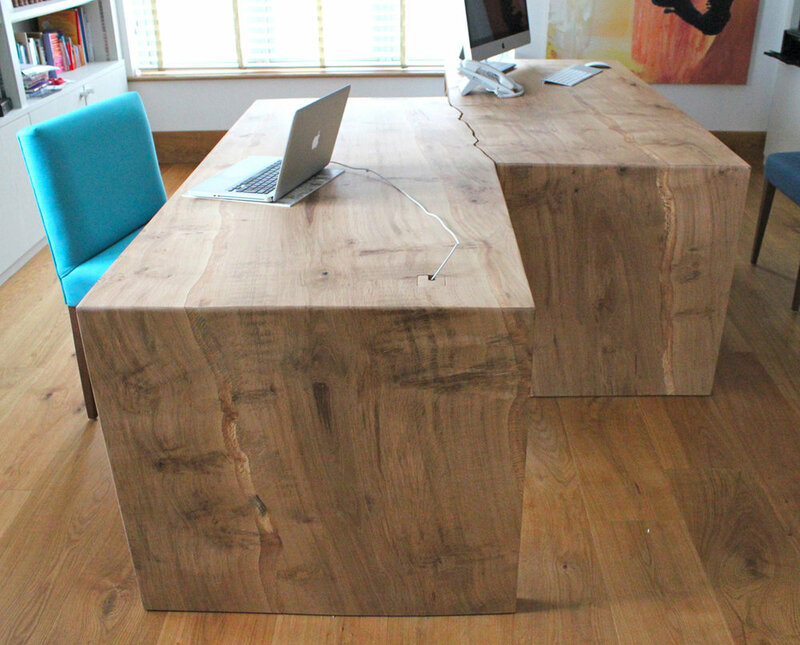 Solid English oak desk for a couple’s office. The waney / live edge was inset into the top and sides. The oak for the two desks was cut on the cross to allow for the waney edge to run through at the point where the two desks stand together. Each desk has three drawers under the front top edge.